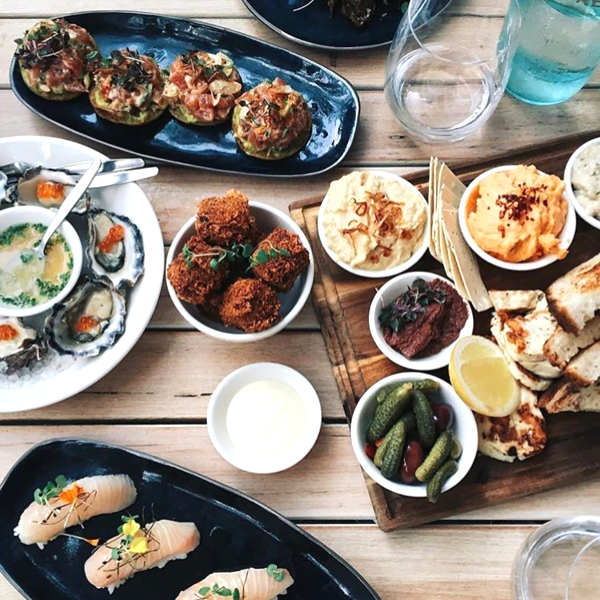 Despite being over three years young, Double Bay’s Pelicano still manages to feel as fresh and inviting as when it first opened. 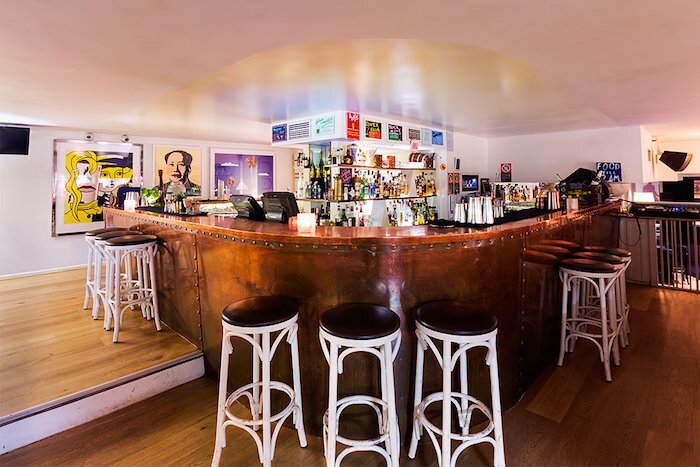 Vibrant pop art fills the walls, and a fun, beat-buzzing soundtrack makes this elegant Cotes d’Azur-inspired, retro-lounge enclave shine as a well established part of the local community. The menu marries modern French cuisine with Asian and Mexican flavours and is perfect for sharing with friends. 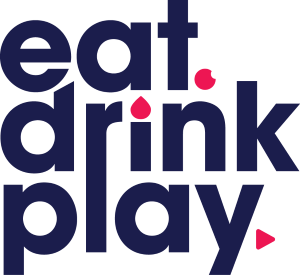 Owner Andrew Becher, and business partners Tim Holmes à Court and Damon Downey of Sneaky Sound System fame, have been rather canny to listen to the needs of revellers, shuffled out of Kings Cross and the CBD by the lockout laws. 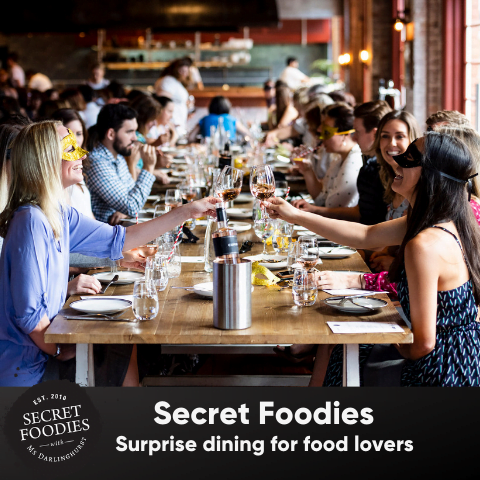 What Sydney-siders have been craving most since their inception is flexibility, and this is exactly what the venue provides. 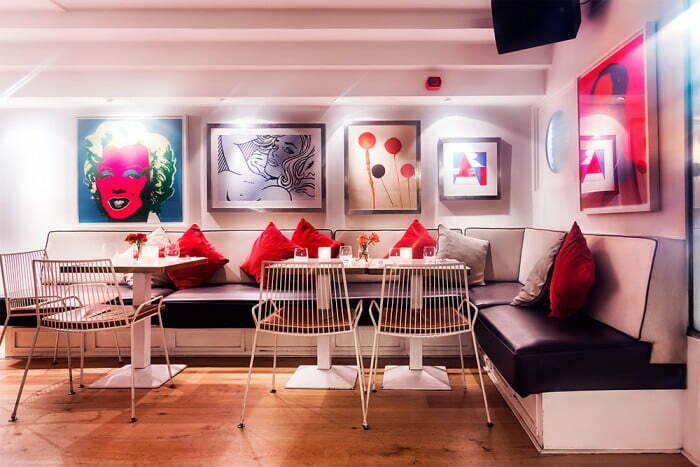 Offering everything from relaxed cocktails to a sophisticated sit-down dinner, to an upbeat party atmosphere. The restaurant gets positively crammed with rowdy carousers over the weekend. During the week, however, the place transforms into a chilled, cosy and serene haven. Split over three levels, Pelicano has seating both inside and out. While the outdoor tables and umbrellas have a stroke of holiday flair, inside is all about the bold aesthetics of the 19-metre copper bar, the lush banquette-seating, and the Andy Warhol and Roy Lichtenstein prints on the walls. Since Faheem Noor took over as Head Chef last year, he’s brought a flair for the innovative and sumptuous to the Pelicano kitchen. And the new menu is no different. 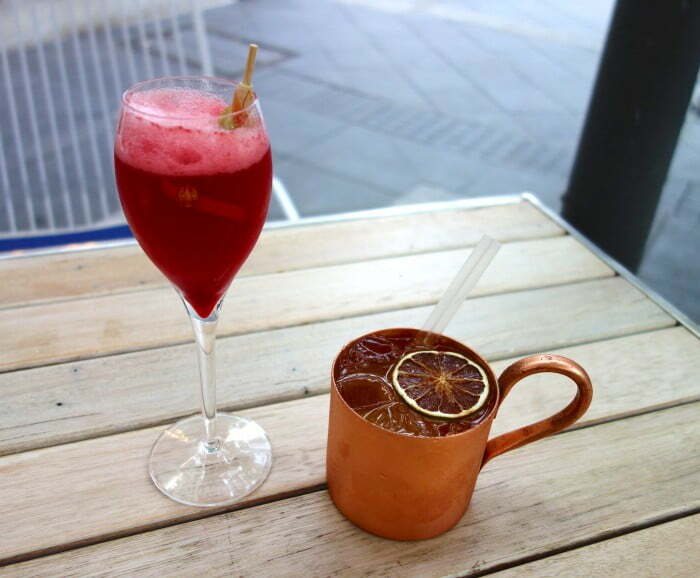 Superbly complemented by the wine and cocktail list designed by French award winning Bar Manager and Sommelier, Alexandre Raclet, it is wonderful to start the evening with a Yuzu Mule and a Bubble Bay, essentially raspberry Champagne. Served in a copper mug, the Yuzu cocktail is particularly refreshing with the tartness of the yuzu curd expertly balanced with the effervescent sweetness of the ginger beer. 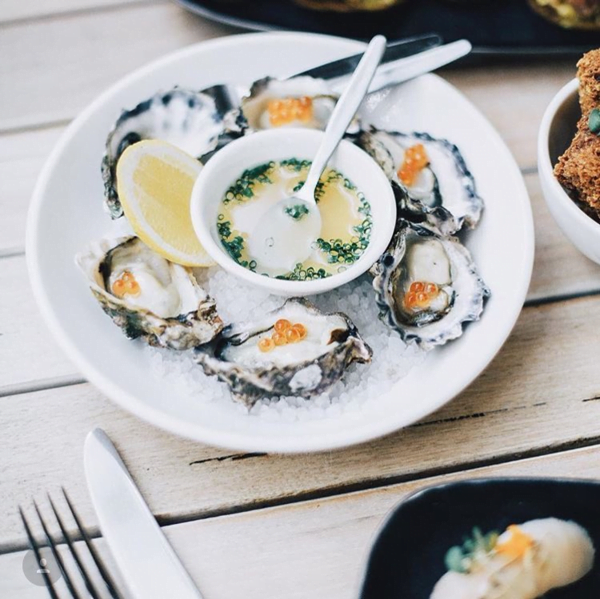 Continuing on the yuzu train, the freshly shucked Sydney rock oysters are a delight with yuzu honey and eschallots (6 for $22). Delicate and subtle, the dressing is a wonderful play on the classic, vinaigrette accompaniment to raw oysters. 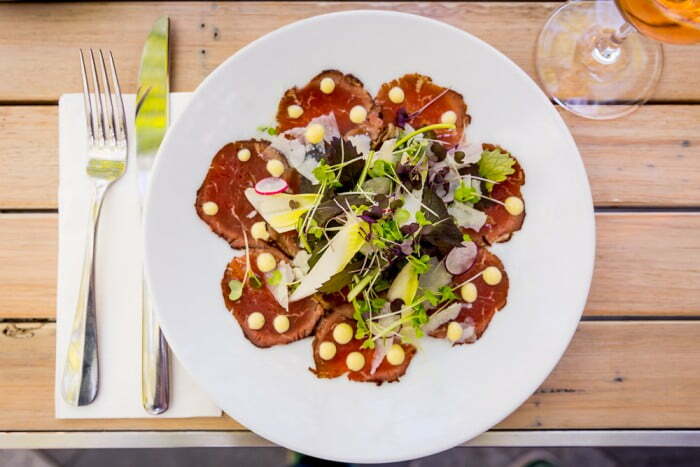 The beef carpaccio with mizuna and chicory salad and shaved Parmesan ($18) is a beautiful dish. Coming from the kitchen, it looked like a unfurling flower dappled with white soy garlic dressing, and delicious greens and leaves. However the absolute highlight of the ‘raw’, entrée menu, not to mention the whole evening is the tuna tartare, avocado, Kewpie mayonnaise, tostadas and lavosh ($19). Hands down the best thing this reviewer has eaten this year, so far, it is simply delicious perfection. 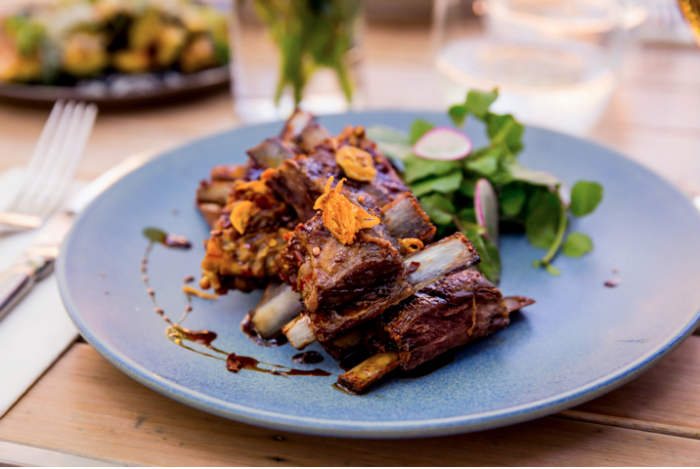 Continuing through the menu, the slow cooked lamb ribs ($18) are a filling choice, albeit a little on the salty side. The sumac salmon ($28) is also satisfying. The fish is soft and moist, but it is the black quinoa tabbouleh with harrissa paste that is the winner on the plate. Filled with currents, almonds, fried onions, garlic, pomegranate, pine nuts and pepita seeds, it packs a flavourful punch. The Szechuan peppered beef with mustard cream, potatoes, kale and jus ($29) was a hearty dish. Perfectly cooked, the cuts of meat are juicy and tender. Similar the mustard cream is fabulously smooth and velvety. Safe to say, it is quickly polished off. After such a feast it is hard to think about dessert. But on second thoughts, isn’t there always room for dessert? The chocolate pana cotta ($12) served with fresh strawberries and pistachios is silky smooth and finely flavoured. Yet it is the lemon tart ($12) that flawlessly rounds off the meal. 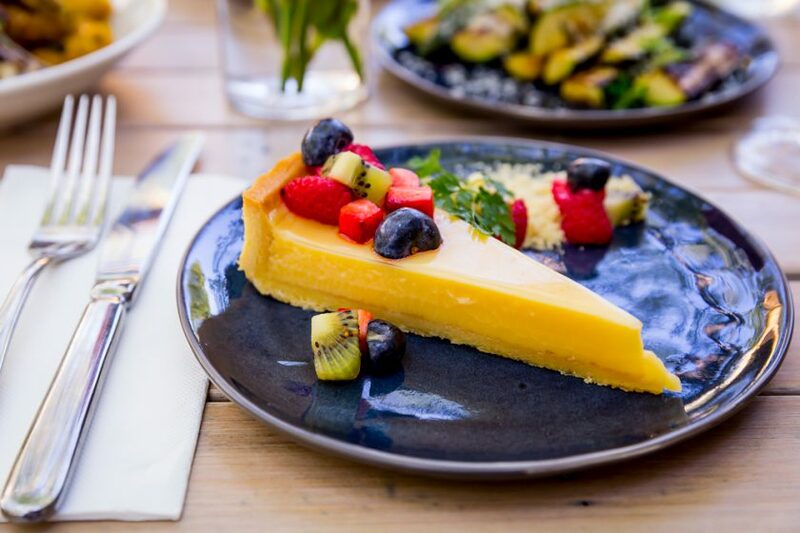 The vigour of the tangy citrus is carefully evened with fresh fruit, walnuts, powdered sablée pastry, and the most delectable and milky vanilla ice cream. Utterly divine. There is so much to enjoy at Pelicano. 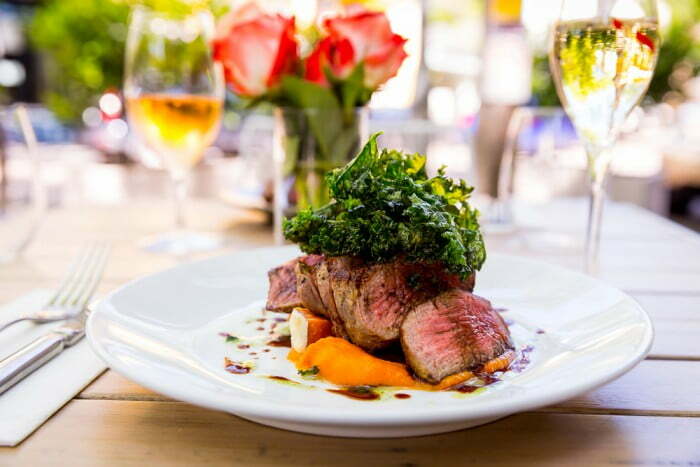 The creative, affordable and not to mention extensive menu provides for a memorable evening. You can really taste the love and thought put into the food and cocktails. But to really kick back and treat yourself, head on over during the week when there are less partygoers, when you won’t need to share the slick, glamorous surroundings with such a big crowd. Enjoyed Pelicano? 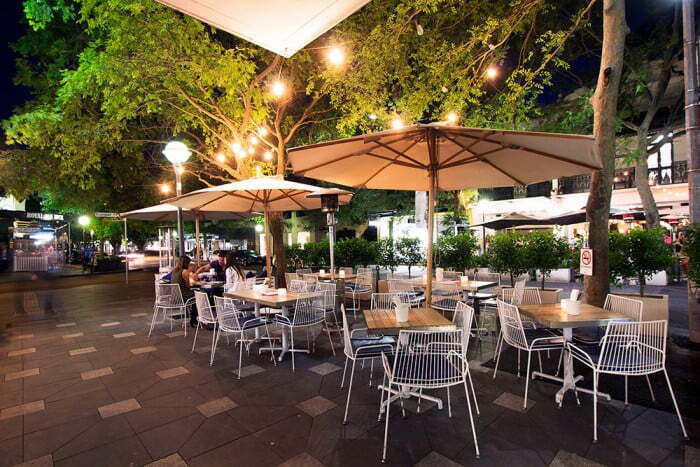 Why not try Bibo Wine Bar also in Double Bay!